In a bid to get more people talking about ending bullying among Singapore youth, the Coalition Against Bullying for Children and Youth (CABCY) has launched a creative new video. 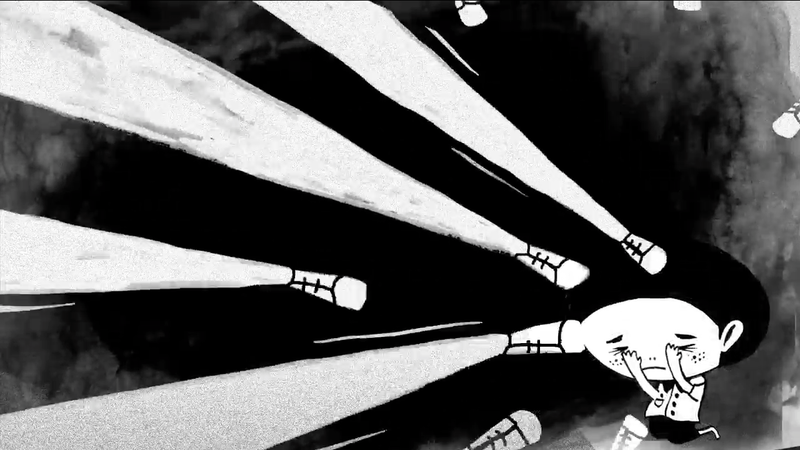 The 1:40 minute black and white animation uses a 100-section illustration panel and a voiceover to tell the story of a burdened child lamenting about a painful problem that no one can help with. But what’s interesting about this concept is that each Facebook share will shorten the video by a millisecond, ultimately “ending” the child’s silent misery once 100,000 shares are reached. And when the goal is reached, the film will be wiped out and left with the last frame for users to continue the sharing. GANGING UP: A frame from Share It To End IT. EVIL: A frame from Share It To End It. 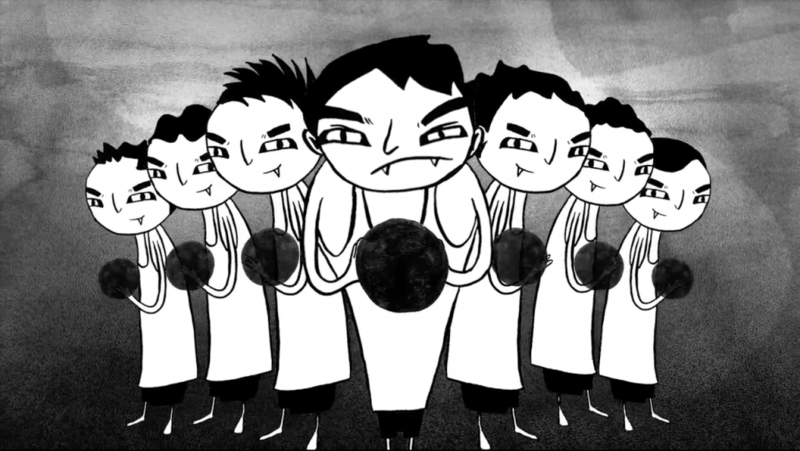 It’s an intense little video drawn in a Persepolis and Emily The Strange style, and one which takes us into the psyche of a young, assailed individual. The combination of pop cultural references and dramatic storytelling should, hopefully, reach a wide demographic. Links from the video page prompt users to get involved with CABCY and encourage victims to seek help. While the statistics on bullying taken from a 2006 study are somewhat dated, they remain statistics nonetheless and hopefully, this new video will spur discussion among young people and give victims confidence to confront their suffering by seeking help. 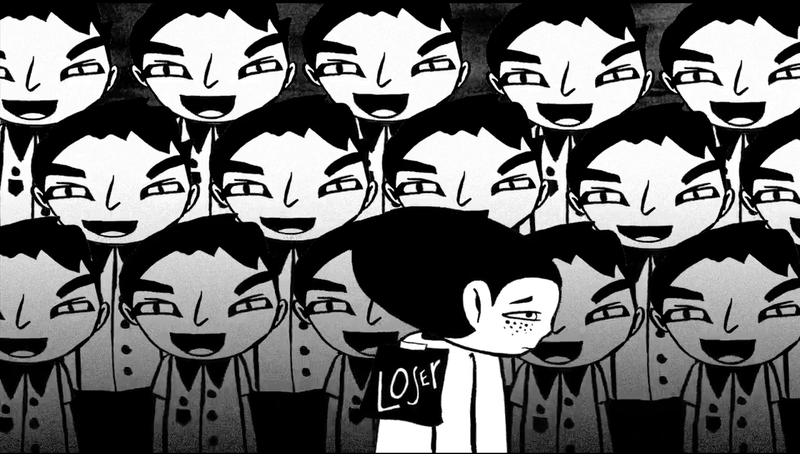 To show spread awareness about bullying, you can view and share the video here. Contented curates some of the coolest, weirdest and most amazing stories around Asia. If you have stories to share or ideas to suggest, get in touch and collaborate with us.